I love this children’s song. It is a beautiful song. It also makes me think, every time, that it is possible to be happy and NOT know it. As a matter of fact, it is usually the case. We are happy most of the times and we don’t know it and hence fail to clap. Normally we realize that we were indeed happy when the happiness goes away for some reason. So while the happiness is there, it is taken for granted more often than not. No, I wasn’t. I was too busy going about routine business of life and I never stopped to ‘live’. Today I am also aware that there is another kind of happiness, that is the real happiness, that does not depend of external stimuli. It comes from within where there is an eternal source of joy and bliss. Here I am not talking of that happiness. I am talking about ordinary day-to-day happiness that does depend on external factors. There is so much abundance of that too. I have the opinion that if a person decides to go on living, no matter how miserable he thinks he is, his happiness quotient is more than the sadness quotient, whether he knows it or not. Now knowing it has its own benefits (that’s where the clapping part comes). When we know it, we feel better. And secure and taken care of. That’s when we attract more of it. Being happy and not knowing is like sitting on a treasure and dying of hunger. How stupid is that! Today when I am done with that pain episode (seemed to have learnt what it had to teach me), every time, and I mean EVERY time, I sit, especially on the floor, I am so thankful to my back and the whole universe supporting it that I can’t describe in words. We don’t have to go through hardships to know we had so much happiness to start with, you know. There are easier ways. Today, no matter what, I am happy and I know it and I do clap my hands! Dinakshi is a curious explorer of life, and loves to see everything around her with a sense of wonder. 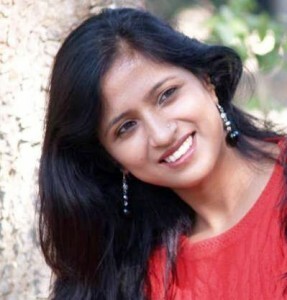 Completely in awe of life and its ardent student, she is a writer, poet, blogger and ex-editor. Her superpower is involuntarily read and edit everything from text messages to poetry on the backside of trucks. 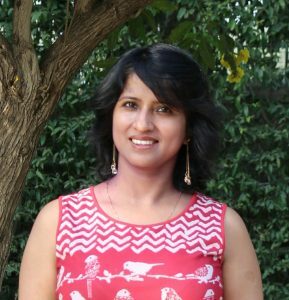 Like any other Indian worth their salt, she’s done her time in the IT industry as a programmer. Books and journals have been her best friends for as long as she can remember. A philosopher at heart, she loves to question everything, including her propensity to question. An avid learner and unlearner, she is on a joyful path to live all that is.